I thought I would show you something I made using a very very cheap clock, which I bought from a 99p shop, so yes it cost just 99p. 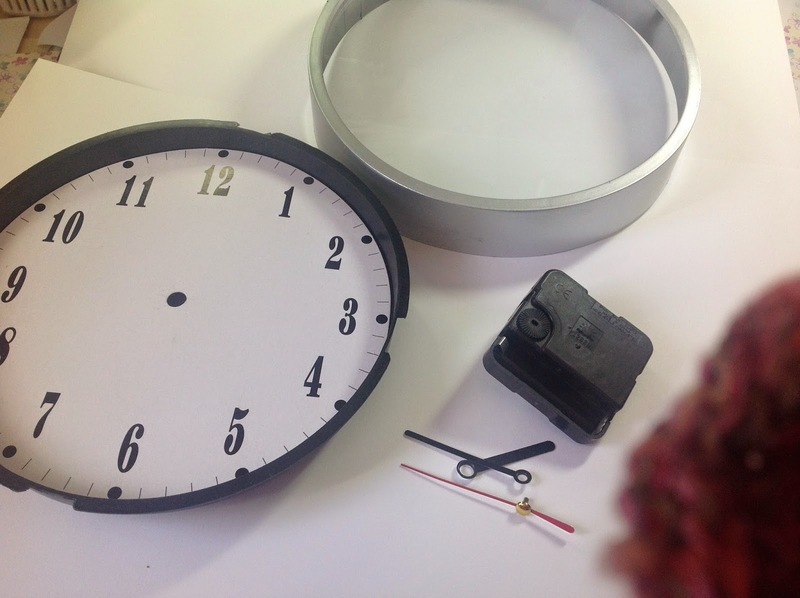 I dismantled the clock and removed the cardboard clock face. 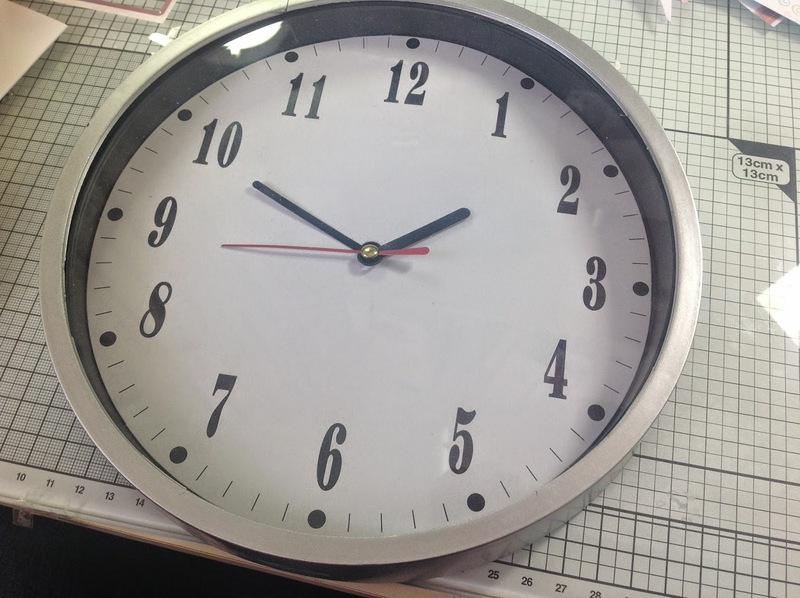 I used the cardboard clock face as a template for the base colour. First I cut the base paper and glued this in place using Cosmic Acrylic Glue. 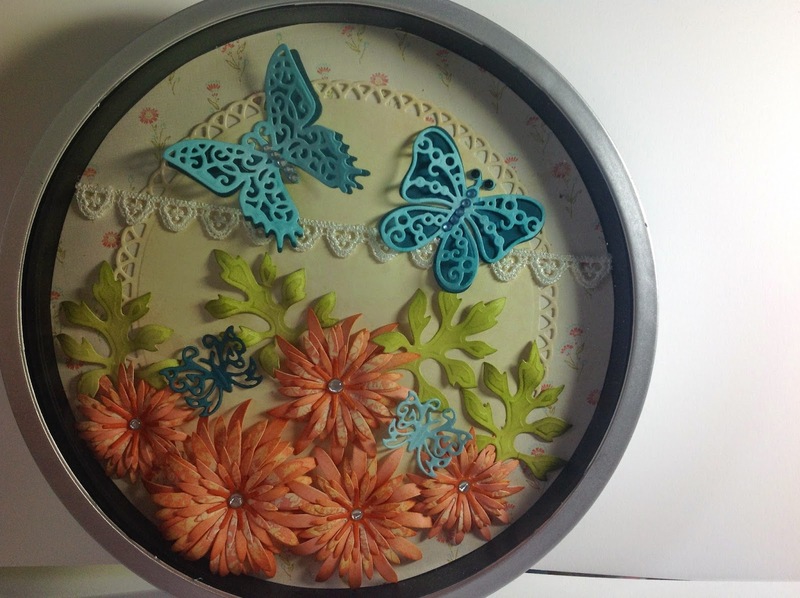 I then cut a circle using one of the Spellbinders Grand Decorative Circles One, in plain cream paper. 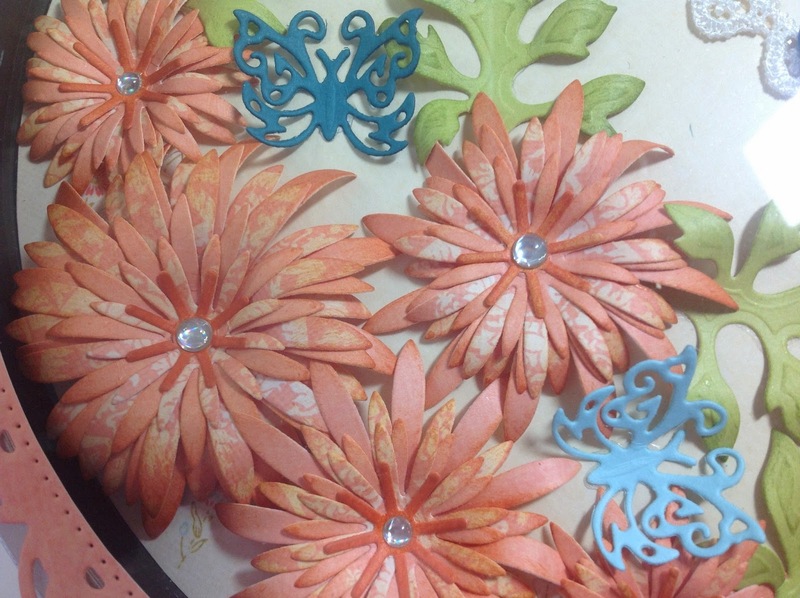 The flowers and leaves are Spellbinders Delicate Asters, which I cut using plan and patterned paper, I then inked the edges with distress ink and glues a gem in the centre of each flower. The two large butterflies are Spellbinders, Les Papillions, with some gems glued along the body of the butterfly. 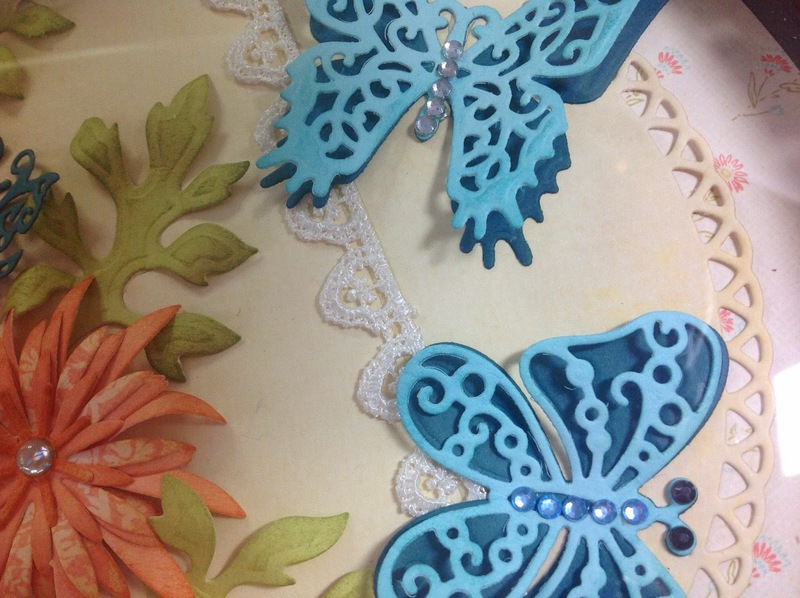 The two smaller butterflies are from Spellbinders, Jewel Flowers and Flourishes. 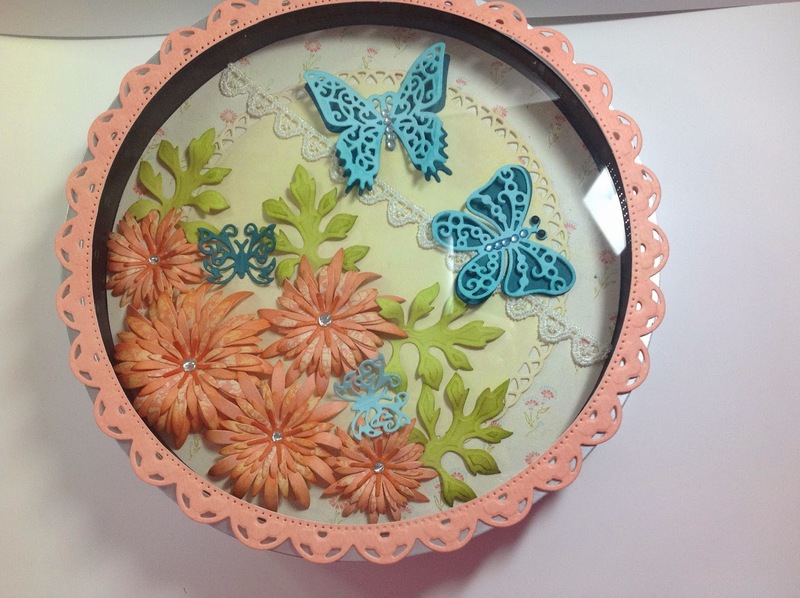 I also glued a piece of lace I had in my stash. I then put the frame and glass back on, so this is it with a silver frame. The next picture shows the clock picture with a pattern frame, which I have cut using Spellbinders Grand Decorative Circles One. I haven't glued the frame in place yet, as I'm not sure if I like it with or without the frame. Let me know why you think? thank you Janice, I will try and be teach but what is the second thing? Hi Sally, this is absolutely beautiful, I agree with the others, I love the frame it finishes it off. Brilliant idea Sally, and so pretty. You would never know it was originally a clock, and a 99p one at that! I think you could be starting a trend as there are so many options of how it could be decorated.